Why not experience a massage or spa treatment while you are at Ghost Ranch? Whether you are a hesitant first-timer or a bodywork connoisseur, a session will compliment your other activities. Nationally certified, licensed massage therapists are available daily. Bodywork sessions are typically 60 – 75 minutes for $75.00 ($25.00 deposit required). See the Ghost Ranch Office for more information and to schedule an appointment. Rides are available at an hourly fee; cowpoke rides are also available for children. Reservations can be made at the front desk and are payable at that time. Call for current pricing. 505.685.4333 ext. 0. Please note: On weeks that horse courses are offered, there will be limited morning rides. On days with extremely high temperatures the wrangler determines if there will be cowpoke rides. 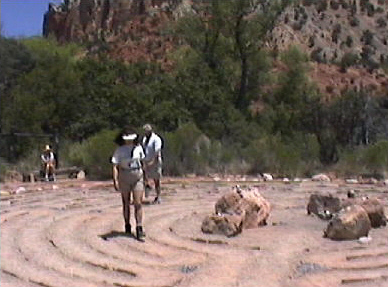 The Box Canyon Trail is the most accessible trail for the majority of Ghost Ranch visitors. This trail is pretty level and provides some shade along your trek. 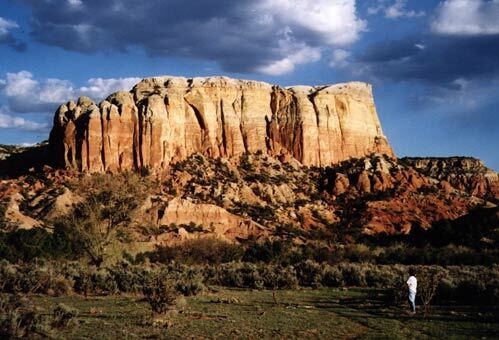 View this stunning and popular Ghost Ranch hike. There are trees along the way so hikers are not totally exposed during this hike. The trail begins at Long House, passes the upper irrigation pod and follows the Yeso Canyon stream to the end. A rock fall in recent years blocked the path at the upper end, so you need to climb over the rocks to get to the basin at the end. 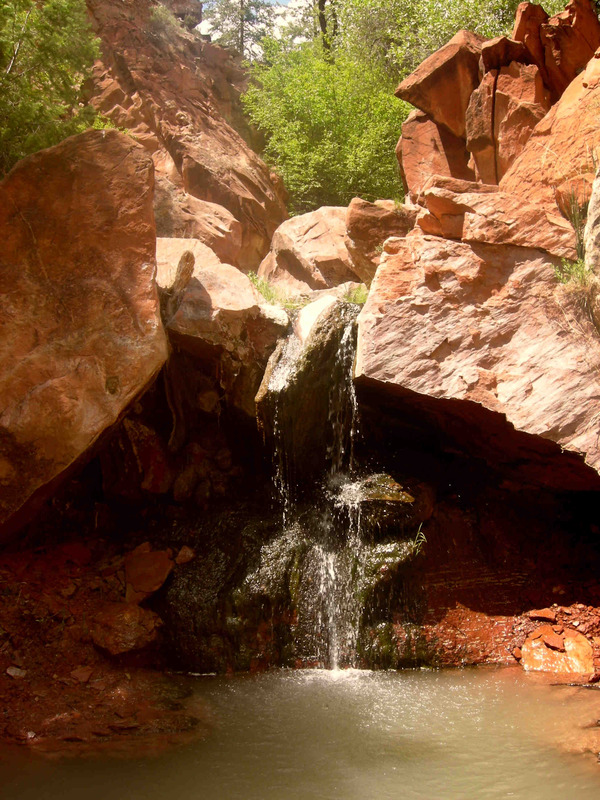 Box Canyon Hike is approximately 4 miles round trip with a trail time of about three hours round-trip. CAUTION: Flash floods possible! Kitchen Mesa, a trek to the top of the mesa behind the Dining Hall, is one of the more difficult trails at Ghost Ranch. This hike involves some climbing. The marked trail begins just past Long House and goes up past the site of the quarry where the dinosaur remains were discovered. Remember, you can always just hike the first part of this trail as it is easy and well worth it. The last ascent to the top of the mesa is a difficult climb so make sure you are up to the challenge and take a friend or two with you. Follow the painted green tin cans and arrows along the way. The Kitchen Mesa Hike is approximately 4 miles or 3 hours round-trip. CAUTION: Steep and some rock climbing required. Beware of lightening storms and occasional rattle snakes! 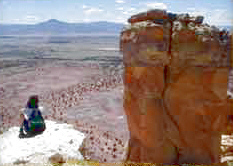 Chimney Rock Trail is the most popular Ghost Ranch hike. The panoramic view of the Abiquiu Reservoir, flat-topped Cerro Pedernal towering above the lake, the Jemez mountains to the left of Cerro Pederal, the Chama River Valley between the mountians and Ghost Ranch, and the mesa and canyon topography that surrounds the valley on all sides makes this a hike worth taking! From the front of Corral Block and behind Lower Pavilion and museums, cross arroyo, open gate and follow trail leading up the mountain. A geological trail guide is available in the Ghost Ranch Trading Post and museums. Not too difficult. Approximately 2 miles or 1.5 hours round trip. CAUTION: This trail provides NO shade along your trek and part of this hike has a steep drop off. Especially observe caution around the edges. Follow entrance road to the corner by the High Desert Research Farm; do not turn corner, but continue on dead end road. There is a chain across the road, just beyond the farm. The marked trail begins on the left approximately 500 yards from the chain. Follow the marker-stakes across desert and suspension bridge over Arroyo Seco. Guide is available in the Trading Post. Approximately 2 miles. Guide available in the Trading Post. Trail begins behind Convocation Hall. Follow signs and map in guide. Trail ends in front of Headquarters. Easy walk. Approximately 30 – 45 minutes. 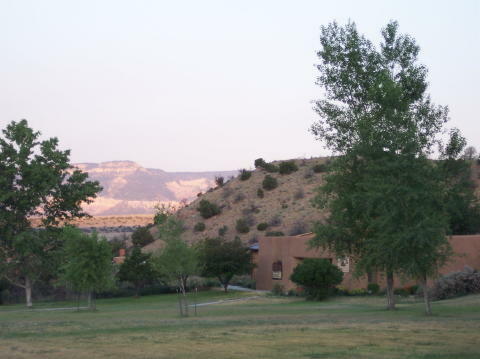 The Anthropology and Paleontology museums are located just west of the Lower Pavilion on the grounds of Ghost Ranch. The Museum shop offers quality pottery and jewelry, along with paleo and archaeology logo items and other gift items from local craftspersons. Designed on the Chartres model, a one-half mile circular path for prayer, meditation, and reflection was a gift to the Ranch in 1998. It is located between the Dining hall and the Long House above the arroyo. Labyrinth brochures are available at the front desk. 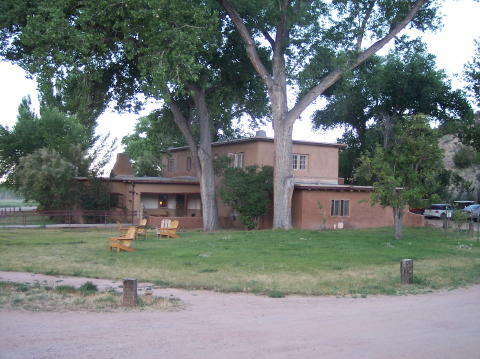 As an educational institution, Ghost Ranch Abiquiu has always had a Library, ever since the Ranch became the property of the Presbyterian Church in 1955. Today, the Library, which is open 24 hours a day, is a quiet, comfortable center for reading and study, located in a fine old adobe building just across from the Dining Hall. The Library now has over 16,000 volumes, organized by the Library of Congress cataloging system. Collections focus on program areas of the Ranch, but there is also a large leisure reading collection of American, English and Spanish literature. Other notable subject areas in the collection include a Southwest research collection, Religion (which includes most current books published by Westminster/John Knox Press), Art (especially books on watercolor technique), Current Santa Fe and Albuquerque newspapers, plus a representative collection of popular magazines in religion and current affairs. The Library also maintains a “Paperback Book Exchange”. Guests may take any of the paperback fiction books they want from this collection. We also hope that guests will leave paperbacks, which they no longer need, for others to read. A guided tour of the area she loved, explored, painted and lived in for over 50 years at Ghost Ranch. Tours are $20 at 2:00pm Tuesday, Thursday and Saturday weather permitting. RESERVATIONS ARE REQUIRED through the Ghost Ranch office. 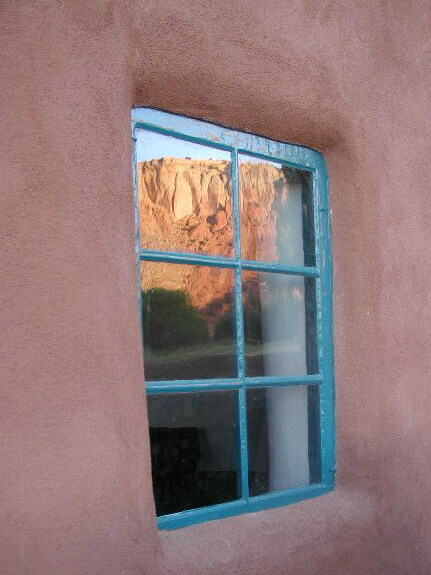 Note: The tour does not include a visit to the Georgia O’Keeffe home at Ghost Ranch. That house is on private property and is not open to the public. More information also is available at www.ghostranch.org.